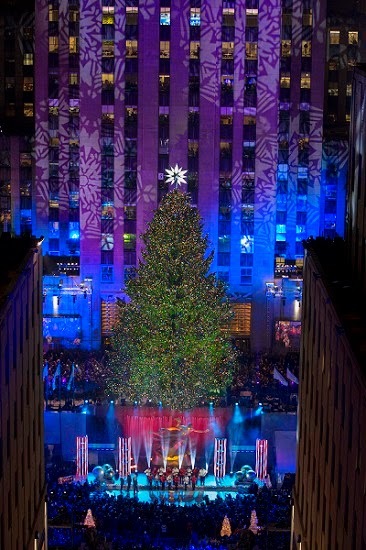 I love visiting New York City during the holiday season as there is so much to see and do! I love how all of the store owners & businesses in the downtown areas decorate their store fronts, hang holiday lights and you will often find groups of caroler's standing on the street corners singing your favorite holiday songs. 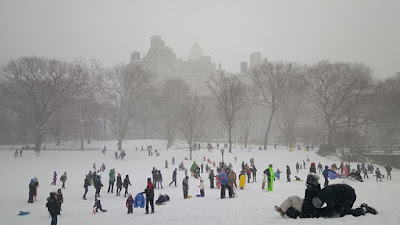 Today I wanted to share a comprehensive list of 2014 Holiday Activities that you can enjoy this holiday season while visiting New York City and the surrounding areas. NYC & Company, the City’s official marketing, tourism and partnership organization, is encouraging visitors to book travel to New York City in time for the 2014–2015 holiday season. Starting in November, New York City is transformed into a beloved holiday destination with celebrations throughout the City’s five boroughs. From annual favorites like Macy’s Thanksgiving Day Parade and New York City Ballet’s The Nutcracker to smaller, treasured celebrations like viewing Christmas lights in Dyker Heights, Brooklyn, and the New York Botanical Garden’s Holiday Train show in the Bronx, New York City provides a unique experience for visitors and locals exploring the five boroughs during the holidays. A hidden gem in Upper East Side, the Mount Vernon Hotel Museum & Garden will conduct candlelight tours on December 5 and 6, offering insight into 19th-century New York City. Candlelight tours of the 200+ year-old house will take place at 6:00, 7:00 and 8:00pm on those nights (mvhm.org). Visitors can also view the stunning holiday-inspired window decorations of the City’s famed stores and hotels through WindowsWear, which operates daily tours. The tour begins at Macy's in Herald Square and journeys up Fifth Avenue, passing the Empire State Building, Bryant Park, Rockefeller Center, Central Park and more. In previous years, holiday tours have taken place between Thanksgiving and New Year’s Eve.